The Competition and Markets Authority (CMA) and the Gambling Commission (GC) have been working in collaboration recently to improve conditions for players gambling online. It follows an investigation which started in October 2016, to see if the gambling sector was breaking consumer protection laws with the terms they attach to online promotions. Hopefully this article will clarify a few of the facts and also shed some light on how this might impact matched betting. The Competition and Markets Authority (CMA) is the UK’s primary competition and consumer agency. They are a non-ministerial government department who are responsible for strengthening business competition and preventing and reducing anti-competitive activities. They replaced the function of the Competition Commission and Office of Fair Trading, which were abolished in 2013. Why Are They Focusing On Gambling? As we all know, bookmakers aren't exactly known for having good morals and ethics. Most matched bettors have experienced bookmakers acting in an unfair way. Well, it turns out that normal punters have the same problems as well. So, following a large number of complaints in the last few years, the CMA have decided to focus their attentions on the gambling industry. What Are The Findings Of the Investigation? The investigation started in October 2016 and concluded last week when the enforcement action was launched. 1. Lack of transparency of significant promotion restrictions. The implications of wagering requirements on the offers aren't clear or transparent enough. Especially when it comes to things like using your own funds and using multiple bonuses simultaneously. Ensure all significant terms and conditions are provided to consumers in a clear, timely, intelligible, unambiguous, transparent, non-misleading and prominent manner, including within the advert and with the headline offer on all relevant landing pages and sign-up pages for the promotion, and on any other advertising on any medium for the promotion. Ensure that all terms and conditions relating to a promotion, including terms which apply to all bonuses, are accessible before the consumer signs up, within a single click from all relevant landing pages and once play commences, within a single click from the bonus tab on the consumer’s account page. 2. Restrictions on withdrawing deposit winnings and funds. Basically, the wagering requirements were being applied to a 'shared pot' (the free bet amount and the customers own deposits), so you had to go through wagering requirements even to release your own money (deposit winnings or deposit funds). Stop offering promotions that include a restriction on the withdrawal of deposit winnings. Stop imposing restrictions on withdrawing unspent deposit funds. Ensure that terms clearly and prominently articulate the right to withdraw deposit winnings and funds. Ensure that consumers can clearly distinguish between ‘play with’ funds that are subject to restrictions and ‘play with’ unrestricted funds. Ensure that consumers can clearly distinguish between play with bonus funds that are subject to restrictions and play with their own money which is not. Essentially, restrictions should not be placed on the money that the consumer deposits. Withdrawal restrictions should only apply to the free bet element of the offer. There are concerns about the fairness and transparency of specific terms which set out restrictions on particular types of gameplay. This includes restricting consumers that the bookmakers deem to be engaging in ‘low-risk betting strategies’ or in a manner which the bookmaker considers to be ‘abuse’ of the promotional terms. Matched betting is often classed within these terms. Ensure that promotional play restrictions do not apply to consumers’ deposits or the winnings. Clearly outline all prohibited types or patterns of play, with no discretion reserved to the operator after the event. Provide full explanations to consumers where the application of gameplay restrictions results in the loss of (bonus) winning. 4. Withdrawing free bets or reducing their value. Bookmakers may sometimes remove a consumer’s entitlement to a free bet, despite the customer having placed all or some of the necessary qualifying bets required under that promotion. Or, where consumers are informed after placing all or some of the qualifying bets, that a restriction is being imposed on them which may make it harder to complete the remaining qualifying bets or reduce the value of the free bet. Operators should ensure that they are not seeking to enforce account restrictions that would either remove a consumer’s entitlement to a bet, or reduce its value, where a customer has already placed all or some of the qualifying bets under the promotion. Not seeking to enforce account restrictions that would either remove a consumer’s entitlement to a bet, or reduce its value, where a consumer has already placed all or some of the qualifying bets under the promotion. Some offers have certain conditions specified in the terms that mean the bookmaker can use the consumer's name, location and other personal data in their marketing. These types of terms cannot be enforced. If they want to use your data for marketing comms, they need your permission. The CMA have outlined their suggestions and now bookmakers have to respond with acknowledgement, or mount a legal challenge if they think it’s unfair. As of the 1st February 2018, Ladbrokes Coral, William Hill, and PT Entertainment (Titanbet) have committed to change how they offer bonus promotions to customers playing online. On the 1st March 2018, the CMA launched enforcement action against an unspecified number of online gambling firms in respect of practices that may place unfair obstacles in the way of people withdrawing their money (whether as part of a promotion or not). Daily, weekly or monthly limits on withdrawing funds that appear unreasonably low. Potentially arbitrary short deadlines on the time customers have to verify their identity as a condition of withdrawing funds, sometimes providing for forfeiture of consumer’s funds if missed. Dormancy terms that allow firms to confiscate funds or impose apparently excessive charges after a certain period of inactivity. So, in the coming months we will see more bookmakers publicly and officially recognising the areas highlighted in the CMA and the GC investigation, and eventually all the points they raised will be implemented. None of the points raised seemed overly restrictive or hard to implement, so it doesn't seem there will be any legal challenges from bookmakers on the ruling. How Does This Impact Matched Betting? It's always a little worrying when investigations like these start because any increase in regulation might impact the amount of offers that bookmakers give out. 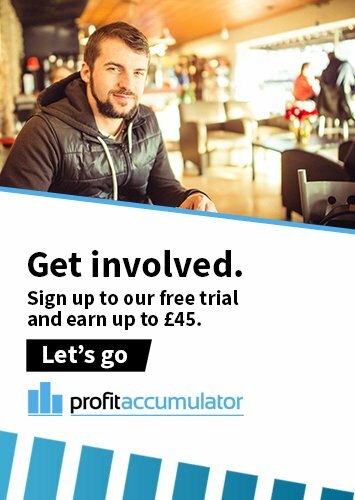 In an ideal world we would want to keep going exactly as we are because matched betting is still currently very profitable. The value of the offers may not be as high as they were a few years ago, but I think we'd all be happy if things were to stay as they are. The reality is that the majority of the suggestions from this investigation are about improving transparency, and that won’t actually impact the offers themselves. The bookies can still run the same offers, they just have to have the terms in a more prominent place. As mentioned in point 2 - bookies will have to stop offering promotions that include a restriction on the withdrawal of deposit winnings. So, there will now be no withdrawal restrictions on the money you deposit. They can only implement those restrictions on the free bet amounts. As mentioned in point 3 - all the prohibited patterns of play must be clearly outlined in the terms. Then, if they refuse to credit your free bet because they suspect you are exhibiting one of the prohibited patterns of play, they must clearly explain their reasoning and why they are refusing to pay out on the free bet. The good news is that bookmakers are now being held more accountable for their actions, which for consumers (and that includes matched bettors) is a good thing. Gone are the days when bookies could remove free bet offers or block withdrawals from you for no good reason. The bookies will have to start acting in a fairer way basically - which is good. One potential threat could be that if some of these bookmakers fail to adhere to the rules, they will get fined (probably heavily). This could mean that they might have less money to put towards marketing (free bet offers are a marketing cost) and they also might be more cautious about giving out free bet offers for fear of getting another fine. This investigation didn’t focus directly on free bet offers, so matched betting was never going to be affected too much. However, they may have kept the free bet promotions purposefully separate so they can revisit it in more detail in future. The main thing that's going to change is greater transparency on terms and conditions. It's focused on making the industry fairer for consumers, which is a good thing. 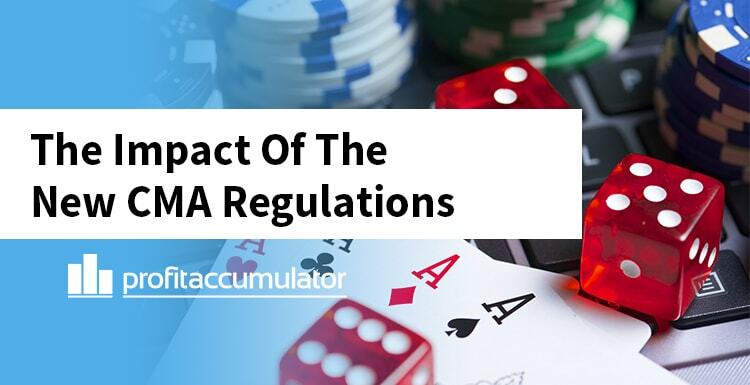 Any increase in regulation has the potential to impact how many free bet offers bookies give away, but on the face of it these regulations won't have that much of an impact. Obviously time will tell if it has an effect, but based on the findings I would say the effect will be limited. The CMA have to deal with a wide range of different industries, so I doubt they will revisit the gambling industry any time soon (because they have already addressed some of the main issues with this investigation). This is good because it means that any big rulings specifically on free bet offers are not likely to happen very soon. So all in all, time will tell but in our opinion the rulings wont impact matched betting that much. This feels more like a tightening of the existing rules to make things fairer, which to anyone that has been matched betting for a while now will tell you, is probably long overdue. What do you think? You can discuss this news on the forum here.